Greetings, and happy spring to all students, faculty, staff, and friends of the Division of Visual, Applied, and Performing Arts at Cabrillo College! The exciting intensity of spring student performances and exhibitions has begun in earnest! I and 35 others enjoyed the latest free lecture in the “Big Picture” photography lecture series last night, featuring local wedding photographer Orbie Pullen. I then dashed across the quad to Samper Recital Hall to hear some exquisite Spanish piano music presented by Susan Bruckner and students in the Cabrillo Piano Department. Wonderful!! And, tonight, April 18, Theatre Arts opens their run of Shakespeare’s As You Like It in the Black Box Theatre. Tomorrow afternoon, April 19, from 4-6pm, be sure to stop by the Cabrillo Gallery for the opening reception of the 2014 Student Exhibition. The quality and diversity of our students’ work will take your breath away! Then, grab a bite to eat at one of our fine local restaurants (see how the arts positively impact our local economy in the latest Economic Prosperity report for Santa Cruz County at: http://www.artscouncilsc.org/wp-content/uploads/2014/04/aep-customized-final-report_2014.pdf), and come back to campus to hear Il Dolce Suono’s Spring Concert (these are the students who just who just performed at the ACDA Conference in Santa Barbara, by special invitation). On a personal note, I’ve been enjoying preparing for my cameo appearance with Jon Nordgren’s Cabrillo Symphonic Winds on May 4, at 3pm, in Crocker Theatre, when I will conduct Gustav Holst’s First Suite in E-Flat. It has been an absolute joy to work with such a fine group…and a pleasure to get out from behind my desk! That program will also include ensemble member Heather J Morris’ composition: Memoirs: A Journey through my Musical and Not So Musical Family. Morris, a fifth generation music teacher from England, presents musical portraits of several of her ancestors in this nine minute piece. Morris’ chamber music compositions have been performed at the San Francisco Festival of Contemporary Music and UCSC, and her orchestral work Gold Fever Jazz was performed in in Minneapolis by the Minnesota Sinfonia after an international call for scores. A preview of the piece and its accompanying slide show can be viewed on Youtube: https://www.youtube.com/results?search_query=memoirs5. For more information on a whole host of upcoming VAPA events, please click on “events” at www.cabrillovapa.com. 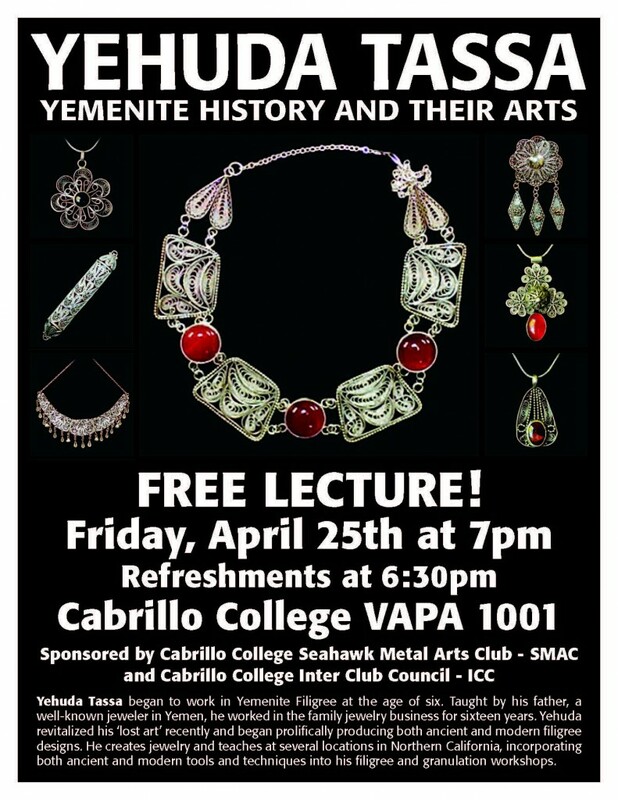 On Wednesday afternoon, April 23rd, VAPA will open its doors once again to the Santa Cruz County Arts Specialists, arts teachers from across the county who will fulfill their professional development obligation by visiting classes and attending a variety of workshops presented by the VAPA Division’s outstanding faculty. Our ongoing Business of Art Series, a collaboration between Arts Council Santa Cruz, Cabrillo Extension, the Small Business Development Center, and the VAPA Division continues to provide many artists in the community with the entrepreneurial skills they need to survive and thrive, and our grant-funded pilot offering of an arts-focused, student-project-driven entrepreneurship class on Monday nights taught by Ray Kaupp continues to buzz with exciting guest speakers and panelists. Don’t miss a panel of VAPA and community arts entrepreneurs who will share their stories in a FREE Q & A on Monday, April 28, at 7:30pm, in VAPA 1001. APRIL 1, NEW YORK CITY — Two dozen “Jazz Heroes” — activists, advocates, altruists, aiders and abettors of jazz — have been announced today by the Jazz Journalists Association in collaboration with grassroots organizations and supporters in 21 U.S. cities and Toronto, Canada. The announcement launches JazzApril, the JJA’s media campaign encouraging and enabling local jazz activists to celebrate their local music people and scenes using media especially to raise profile during Jazz Appreciation Month, culminating in International Jazz Day. The 2014 Jazz Heroes include music educators, festival producers, venue operators and presenters, broadcasters and journalists, a municipal cultural administrator, an instrument repair angel, and musicians who have mentored up ‘n’ coming players and kept hometown audiences engaged. Jazz Heroes will be presented with engraved statuettes from the JJA during public events in Atlanta, Baltimore, Bloomington IN, Boston, Chicago, Columbia MO, Detroit, Durham NC, Kingston NY, the Litchfield CT region, New Orleans, New York, Newark, Pittsburgh, Portland OR, Santa Cruz, the SF Bay Area, Seattle, Schenectady, Tallahassee, Toronto and Washington D.C. Organizations collaborating on Jazz Hero events include the Art of Cool, Atlanta Jazz Festival, A Place for Jazz, Berklee College of Music, B Sharp’s Jazz Café, Jazz from Bloomington, JazzBoston, Jazz Institute of Chicago, Elastic Arts, the Ella Fitzgerald Foundation, JazzStock, Kuumbwa Jazz, the Litchfield Jazz Festival, the Portland Jazz Festival and Yoshi’s. New JazzApril endorsers and supporters are currently connecting with the JJA — see the www.JazzApril.com website for latest information on Media Network partners and other supporters. Jazz Heroes were first name in 2010 as an honor conferred by the Jazz Journalists Association in consultation with its members and informally affiliated jazz supporters and organizations. The Jazz Heroes initiative is an outgrowth of the JJA’s “A Team” of “activists, advocates, altruists, aiders and abettors of jazz,” first designated as such in 2001. Jazz Heroes celebrations are part of the JJA’s larger JazzApril media campaign, now in its third year, and the JJA’s annual Jazz Awards, recognizing excellence in jazz and jazz journalism, begun in 1997. Winners of JJA Jazz Awards for musical excellence will be announced online at JJAJazzAwards on April 15; winners of JJA Jazz Awards for excellence in music journalism will be announced at the New York City Jazz Awards party at the Blue Note Jazz Club in Manhattan on June 11. Ticket information tba. Sponsors of the JJA’s JazzApril, Jazz Heroes and Jazz Awards include The Jazz Cruise, North Coast Brewing Company, the Ella Fitzgerald Foundation, Berklee College of Music, Century Media Partners LLC, the Jazz Institute of Chicago, JazzBoston and the Manchester Craftsmen’s Guild. 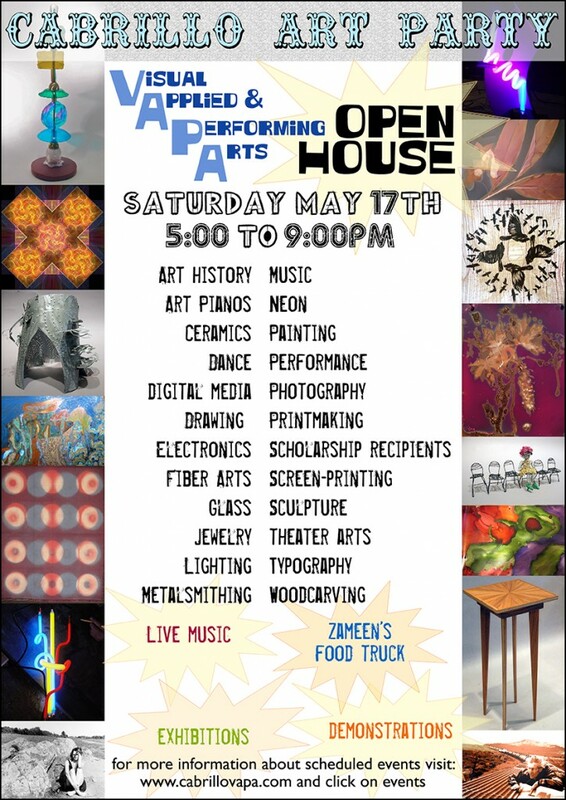 VAPA opens its house to the entire community for a gigantic celebration of our programs, with food, art, and fun!